Our Wedding Car Hire London service is passionately committed(dedicated) to making your biggest day even more special. When it comes to the most exciting day of your life nothing less than the very best in luxury, style and class will do. Mercedes Chauffeur Hire’s old-fashioned approach to customer service means immaculately attired wedding chauffeurs who are unobtrusive and discreet, carefully planned routes to the venue and wedding cars professionally valeted to better than showroom condition. You will be given a dedicated contact from our London wedding car hire team who will work with you to accommodate your requests and ensure we fit around the minute details of your wedding itinerary. This flexibility and desire to create a seamless journey to and from your wedding venue leaves you and your nearest and dearest with time to relax and enjoy the unforgettable moments leading up to the ceremony itself. As the confetti settles and the bouquet is thrown, your thoughts will turn to the journey ahead of you. Mercedes Chauffeur Hire can help you embark on this next step in nothing less than majestic style. Our uniformed chauffeurs and luxurious vehicles are also guaranteed to add a refined sense of occasion to your departure from the wedding venue as husband and wife after the ceremony has completed, marking the perfect start to your new life together. 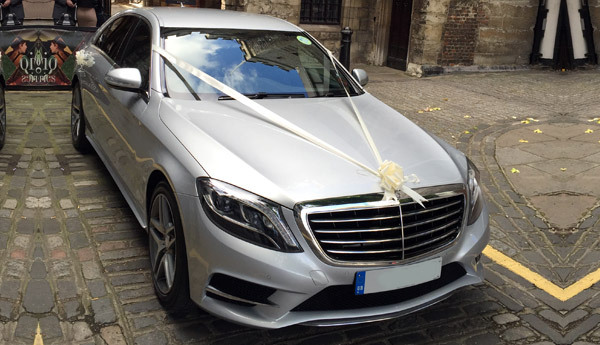 At Mercedes Chauffeur Hire, we use only highly experienced, professional wedding chauffeurs with a minimum of 10 years high-end service to their credit. They are all highly proficient in time management with the people skills and commitment to client satisfaction you would expect from London’s preferred chauffeur firm. We know that timing is everything during the build up to such a special occasion. With this in mind, your impeccably turned out chauffeur and luxury wedding car will arrive at least 30 minutes in advance of your specified collection time, giving you total peace of mind as you prepare to depart. Your chauffeur will wait discreetly for you, so you can relax knowing that your car is ready and waiting to transport you in sublime comfort and style. Upon arrival to the church or wedding venue, your chauffeur will work closely with you and your photographer to ensure your once in a life time wedding pictures are exactly as you want them to be. Our imposing and classy, immaculate London wedding cars have been hand picked to perfectly complement your special day, ensuring your entrance as a bride is all that you’d ever dreamed it would be. They have been carefully selected to add a touch of elegance and an abundance of comfort. All of our wedding cars are exactingly prepared to spotlessly sparkling condition and bedecked with complimentary wedding ribbons and pull bows in the colour of your wedding theme. Following your wedding ceremony, your limousine will be waiting to chauffeur you and your new husband or wife to the reception. After the nerves and intensity of the occasion, your wedding car will provide you with a calm sanctuary in which to enjoy some precious time alone as a couple. If your reception venue is close at hand and you would appreciate a longer journey to spend some quiet time together, we will be delighted to arrange that. The epitome of luxury and class, our silently magnificent Mercedes S Class limousines boast a long wheel base, providing acres of leg room for the bride and her train. The interior of each vehicle is spacious and comfortable, with a nod to the sumptuous and the luxurious. 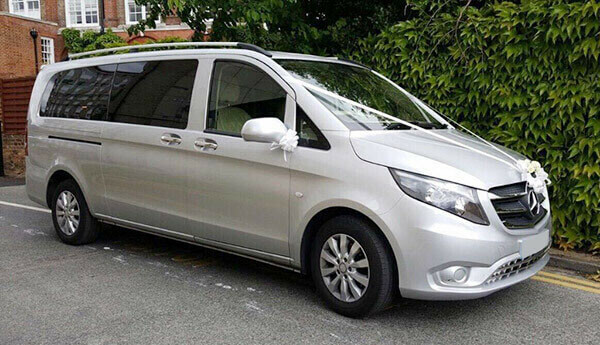 Simply the finest group transportation MPV, ideal for bridesmaids, family members, page boys ushers and guests. Our Mercedes V Class luxury people carriers offer the superior levels of indulgence and complete convenience for groups of up to seven passengers. After the emotion and excitement of your wedding day you will have your honeymoon to look forward to. It will be the most romantic trip of your life and what better way to set off than in your elegant wedding car? Whether you are departing from your home, your wedding venue or your hotel, we can drive you to the airport or to the seaport if you are taking a cruise. Naturally we can also be waiting for you when you return to drive you home in style. 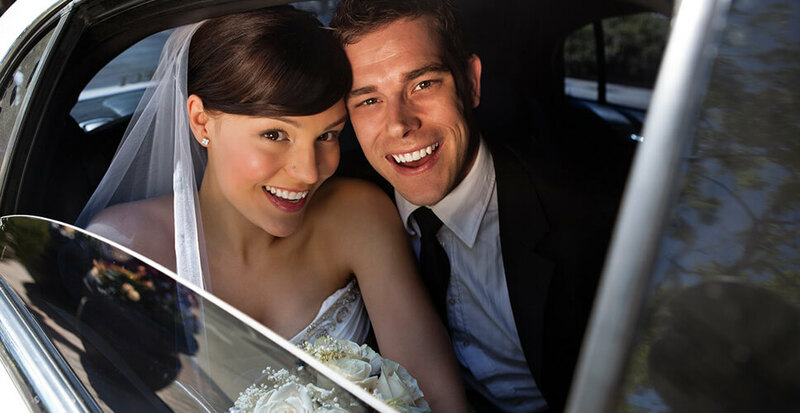 The most memorable honeymoons begin and end with the perfect wedding chauffeur service! 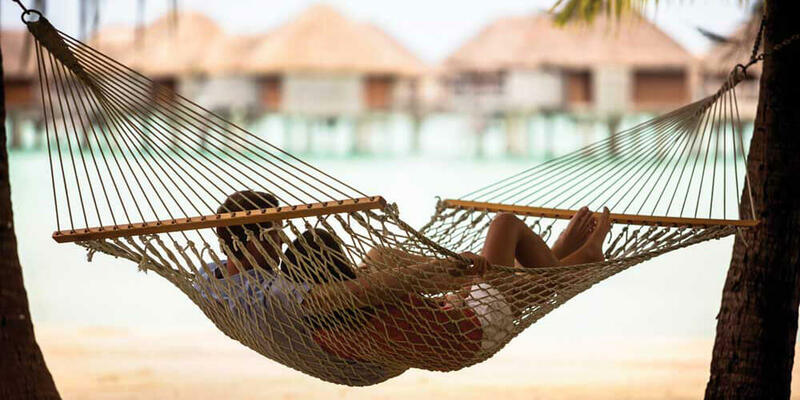 Perhaps you are rounding off your celebrations with a short break rather than a lengthy honeymoon? We are sure that you will enjoy your minimoon and you will be over the moon if you travel all the way to your destination in a luxurious wedding chauffeur car. We can collect you from your wedding venue or your home address and drive you in style as you sit back and savour the memories of your special day. 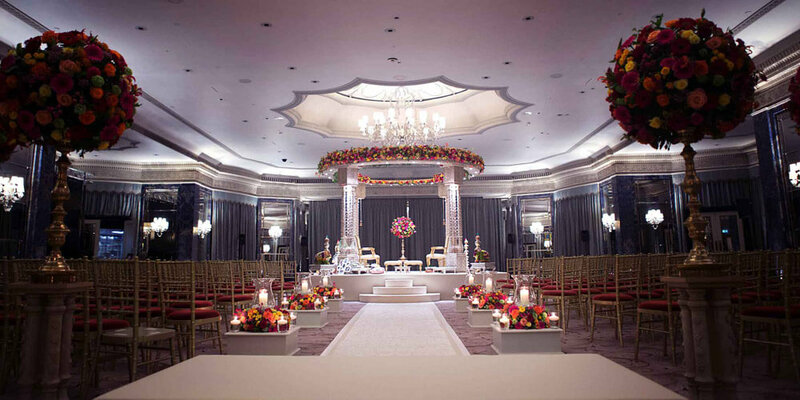 Each wedding is a unique occasion and should reflect the dreams and aspirations of the happy couple. Many weddings are small and intimate affairs involving a single venue whereas others are extravagant celebrations with hundreds of guests and complex arrangements. Some couples prefer to follow tradition whilst others seek to organise contemporary, themed or unusual events. If you are looking to plan a Hindu, Sikh, Gujarati, Pakistani or any other type of Asian wedding, you can rest assured that we will provide a wedding chauffeur service that is tailored to the traditions and customs of your culture. So whether we are transferring family to the beginning of the baraat as found in Hindu, Sikh or Gujarati wedding ceremonies, or taking the newly-weds to the Walima after a Muslim Nikah, our drivers can be trusted to perform their role with diligence and respect for all religions and cultures. Having successfully completed over hundred Jewish wedding car hires to date, we would be truly honoured to be chosen as the preferred wedding chauffeur service on your day of days. Given that Jewish culture sees the wedding day as a personal Yom Kipur, a day of forgiveness and new beginnings for both the Chattan and Kallah, it is hugely important to ensure that your Chatunnah goes absolutely perfect! At Mercedes Chauffeur Hire, we will make sure that you are on time not just to take your place under the Chuppah, but with plenty of time to greet your guests at the Kabbalat Panim. Whatever your gender or sexuality, we are highly experienced in providing wedding car hire to couples who come under the LGBT+ umbrella. Over the years, we have successfully provided wedding day transportation for hundreds of couples involved in gay and lesbian marriages, as well as civil partnership ceremonies. Whether you choose the opulent Rolls Royce Phantom or the striking Mercedes S Class, our beautiful cars and exceptional chauffeurs will ensure that your celebrations begin and end in style. Let’s wind the clock back to that most special of moments – the marriage proposal. If you are planning to propose to the love of your life, then you have probably chosen somewhere fabulous to get down on one knee. You can make the occasion truly memorable for your intended by arranging for them to travel to and from your destination in a luxurious chauffeur driven car. Don’t forget to tell us about any special touches that you would like us to arrange for you. We will help to ensure that your partner says yes. When the love of your life has agreed to marry you it is truly time to celebrate. You may choose to throw an engagement party or you might prefer to mark the occasion with a special meal at one of the capital’s world-renowned restaurants. Whatever your destination, chauffeured cars will provide the perfect finishing touch to a special event and will guarantee that you arrive with a flourish. There will be a lot happening in the build-up to the wedding and much for those involved to think about and to plan. It is all too easy to become stressed about the arrangements but the hen party provides the perfect opportunity for the girls to unwind and to let their hair down. If you are responsible for organising the hen night or hen weekend, then why not guarantee that everyone travels in amazing luxury? Our superior chauffeured cars will mean that you have one less thing to worry about and that the girls can look forward to the best hen party ever. When the stags set off to enjoy that all-important last night of freedom they want to look at their best so why not arrive in style too? Whether you are planning a single night of excess or an entire weekend of fun, the right transportation will add a touch of panache to the proceedings. Our reliable and attentive service, elegant cars and professional London chauffeurs will enable everyone to make the most of a memorable event without having to worry about a thing. They say that life isn’t a rehearsal and it isn’t. But you will enjoy the benefit of a wedding rehearsal and that can be quite an occasion in its own right. It is an opportunity for family and friends to spend time together and for two families to start getting to know each other. It is almost as important to arrive on time for the rehearsal as it is for the wedding itself. Our wedding chauffeur service will guarantee that you arrive on time, in style and feeling completely relaxed. If you arrange chauffeur driven cars for your future in-laws as well, you will certainly make the right impression. You may not throw a party on your wedding anniversary every year, but there are some significant milestones which are worthy of special celebrations. If you are looking forward to your silver, golden, ruby or diamond wedding anniversary then many congratulations! We hope that you are arranging a night to remember at a wonderful venue. With our impeccable wedding chauffeurs and refined cars, you can revel in an amazing journey and arrive feeling fabulous to greet your family and friends. If you cherish the memories of your wedding, then you just might want to do it all again. Renewing your vows is a magical way to celebrate your relationship and to create another memorable day for family and friends. Sadly, some brides don’t get the wedding that they really wanted the first time around. 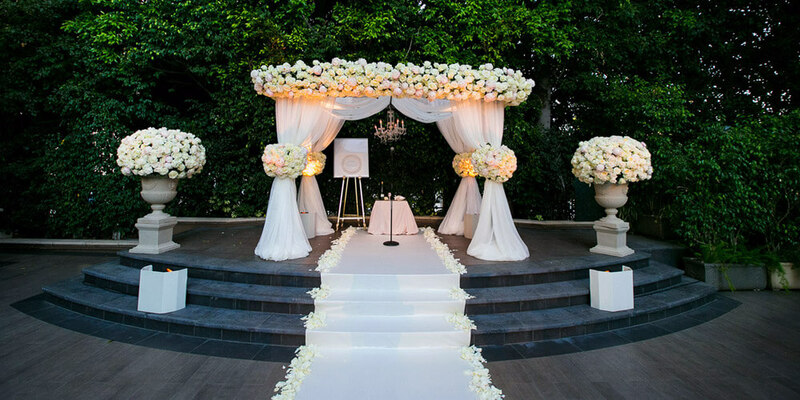 A vow renewal provides the perfect opportunity to make amends and to achieve the day of their dreams. Perhaps that is what you would like to do. Your perfect day would not be complete without a beautiful chauffeur driven wedding car. We are pleased to offer the following packages for wedding chauffeur car hire in London. However, your wedding is your special day and so we would be delighted to create a bespoke package which is tailored to your occasion should none of these packages meet your specific needs. We always put our clients’ interests before the profit – your wedding car will never be booked to do any other weddings on the same day. Please contact us for a quote or to discuss your wedding car hire requirements in more detail.